Please note that in addition to the weekday deliveries, this branch also offers a local delivery service on Saturdays. 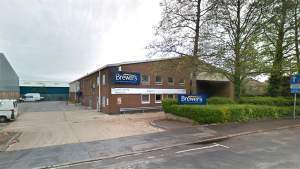 We have two Brewers Decorator Centres in Portsmouth: Southsea and Farlington. Here at Farlington you’ll find the largest stock of paint in the area; more than 400 pallets covering a host of brands and purposes. As well as the usual trade, designer, interior and exterior paints, we have particular expertise in protective coatings, so you can source specialist paints here too. We also carry a large stock of wallpaper, with hundreds of patterns to choose from, fabrics, made-to-measure blinds and all the usual decorating paraphernalia. 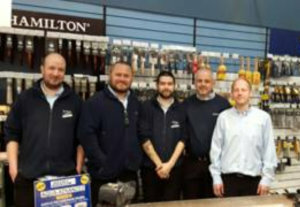 The store is in the Farlington area of north Portsmouth, close to the A2030 Eastern Road. Waterworks Road runs between Fitzherbert Road and Havant Road, near the junction with Zetland Road. There’s lots of customer parking outside and the store is fully accessible for wheelchair-users. Travelling along Fitzherbert Road with the rail way line to your left, take the next right after Fitzherbert Spur onto Waterworks Road. The store is then the first turning on your left. Turning left off of the A2030 onto Fitzherbert Road, take the first left onto Waterworks Road. The store will be on your left.